Are you hooked on those plastic-binder 8-ring notebooks into which you can easily slip pages? Our household is…we love our apps but somehow there is still a major role for paper and ink. 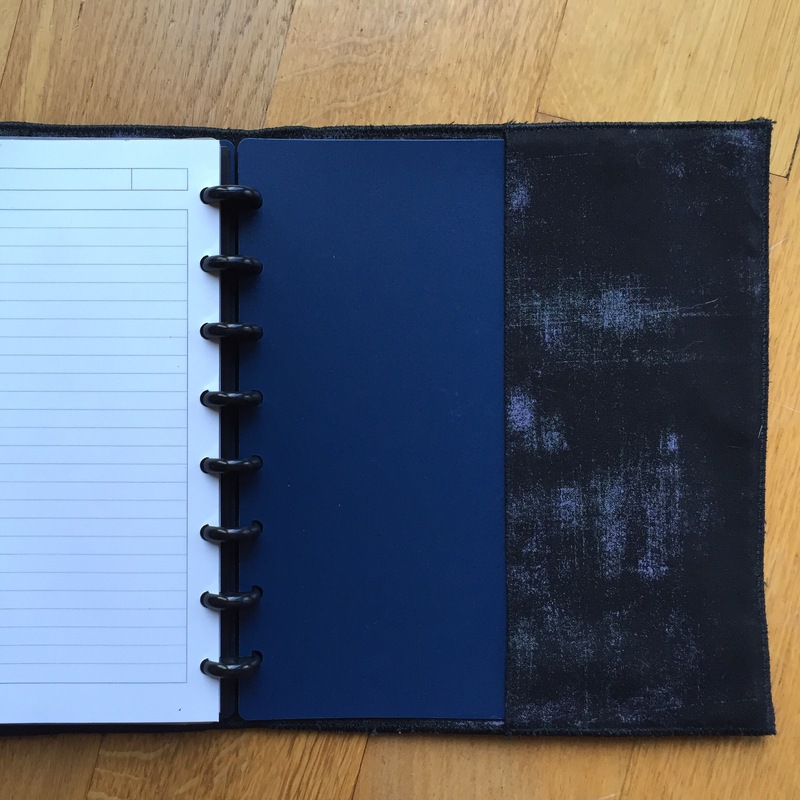 I had made a cover for one of these notebooks out of Carol Eaton’s amazing fabric…which inspired my product development team (that would be my husband) to suggest a black leather version. If you would like to try this, first trace 2 rectangles on very stiff fusible (I use Peltex II) that are just a little larger than the plastic covers. The plastic notebook covers pop off easily for use as templates. I suggest trying an extra 3/8th inch on all sides. 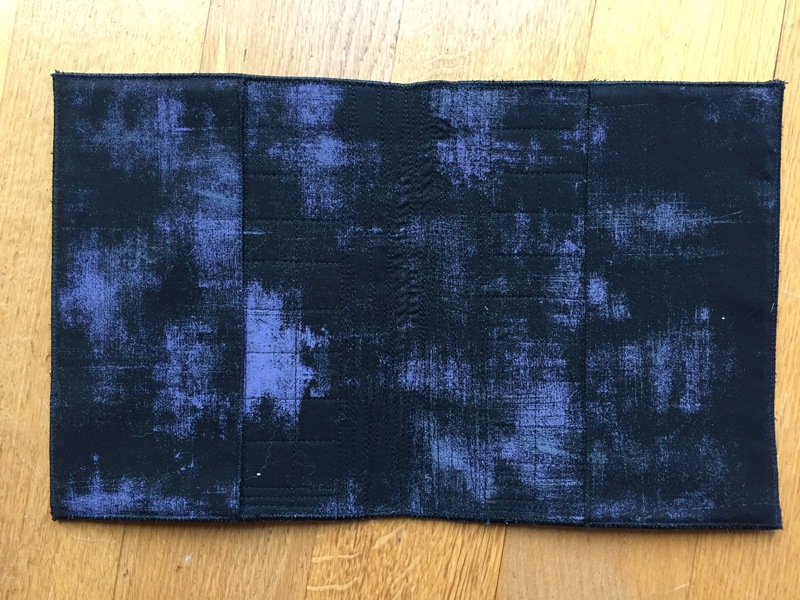 Lay out your backing fabric on a pressing surface, then take those 2 rectangles of fusible and place them side by side, with enough space between for the spine of the book. 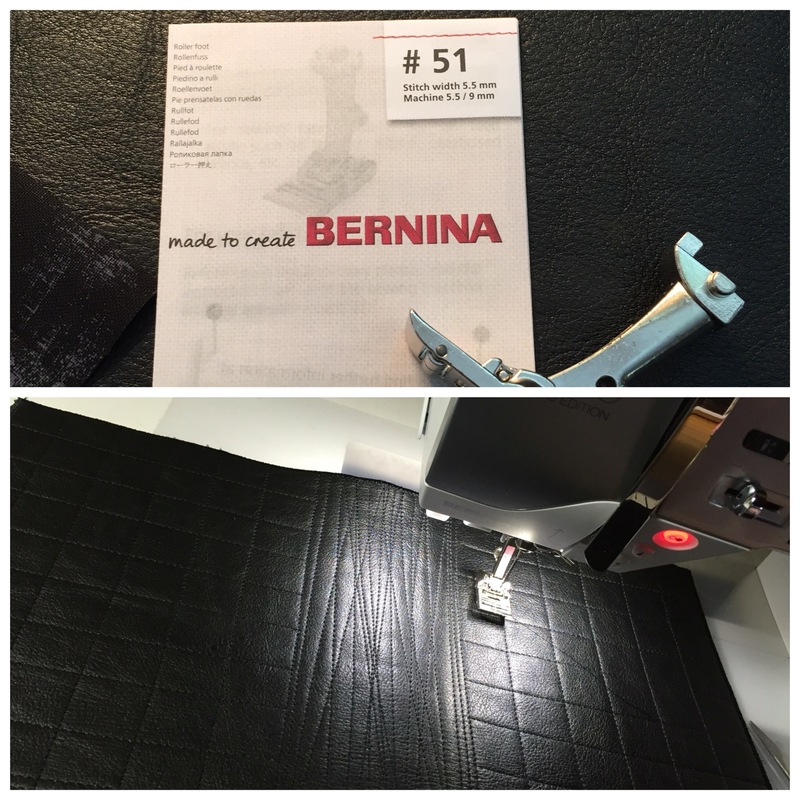 This will require some testing as you hold the notebook and wrap the fusible and fabric around it to check for size. Once you are happy with the placement, fuse (don’t forget your pressing sheet under the fusible!). 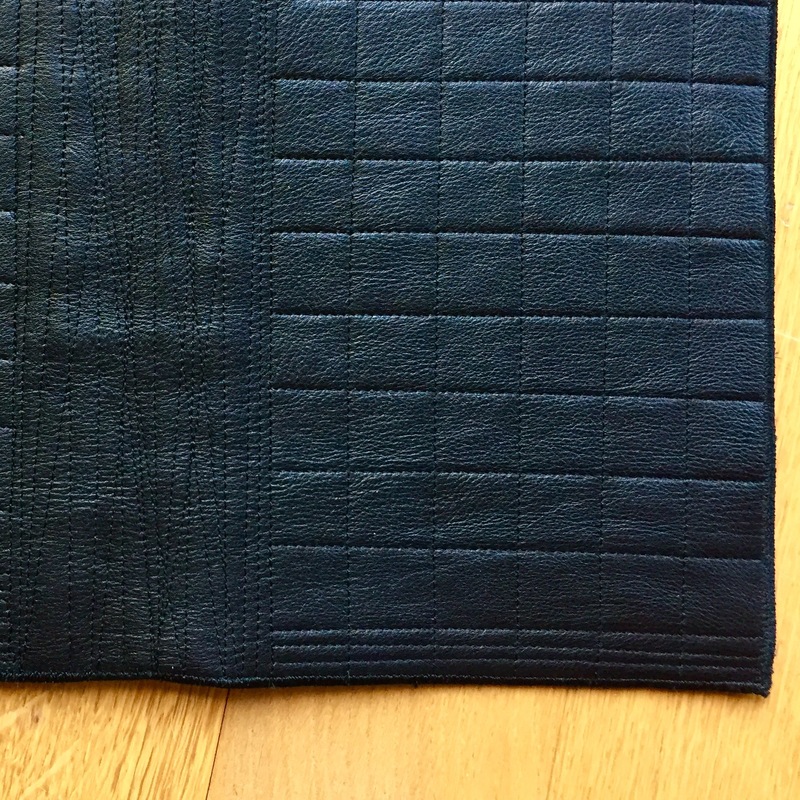 Turn over and lay out your piece of leather to match…then fuse it to the fusible (I place an extra layer of fabric between the iron and the leather). Grab that notebook again and wrap the cover around it…decide how much to trim. Do one round of zig-zag stitching around every side before the backing fabric begins to fray. A cover for a larger notebook is next on the to-do list :). Leather is really a pleasure to work with- give it a try! This entry was posted in Uncategorized on December 29, 2015 by neonkittyquilts.